These days, it’s impossible to look anywhere in the tech world without seeing Google’s fingerprints. This was definitely still true throughout 2018 – even Microsoft conceded to Chrome’s web browser dominance. However, with all the news that’s constantly flying around the internet about Google, it can be hard to pinpoint the year’s most pivotal moments. That’s why we’ve decided to dive into Google’s biggest moves throughout 2018 – with a bit of a look at the future, as well. It was only a matter of time before Google launched its own cellular service – it’s been running Google Fiber, an internet service provider, in select cities for years now. Google Project Fi has technically been running since way back in 2015, but it blew up in a big way this past year. The way Project Fi works is that you’ll basically pay a flat $20 (about £15, AU$28) a month for all your regular cellular activities, like talking and texting. Then, you’re charged an extra $10 (about £8, AU$14) a month for each gigabyte of data you use. Heavy data users might notice that this would get expensive very fast, but Google put a cap on users’ bills in January, ensuring that users don’t have to pay more than $80 (about £62, AU$113) in a month. It’s also reliable, as it essentially borrows signal from traditional carrier’s cell towers, like Sprint, T-Mobile and others. One of the things that has been holding Project Fi back over the last couple years has been the lack of compatible smartphones. Which is why it was such great news when, in November 2018, Project Fi opened up compatibility with Samsung and OnePlus smartphones – oh, and iPhones, too. But, what about Google Fuchsia? We’ve been on the edge of our seats anticipating Google Fuchsia for years now, and, well, it’s still not out yet. That doesn’t mean we didn’t get closer to a possible release date for the one OS to unite them all. Right at the beginning of the year, Google was testing the experimental OS on the Google Pixelbook, with a build that anyone could download and run. It was definitely an early version of the operating system, but it did give users an idea of what Fuchsia would look like, should it ever release. But, things kind of got complicated from there. Back in July, we got a report that Google was on track to launch Google Fuchsia within the next five years. But, there was a catch: neither Google CEO Sundar Pichai and Chrome and Android lead Hiroshi Lockheimer had signed off on any road map for Fuchsia’s release. Instead, the Google executives referred to Fuchsia as an “open source experiment” rather than an official project. But, because Fuchsia is an open source experiment, we kept hearing about advances made in the OS throughout the year from security implementations to the search-centric interface. Here’s to hoping all of this leads to something more concrete in 2019. Smart speakers are everywhere these days, with Google, Amazon, Apple and more in a race to deliver the smart assistant for you and your home. In 2018, Google Assistant made waves. Google’s digital assistant was already capable of quite a lot, but after an update in October it’s capable of more than ever. That’s good news, because the Google Assistant is virtually on everything right now. Beyond every Android phone, it's on everything from new smart speakers, like Marshall’s Stanmore II and Acton II to Samsung’s next line of smart TVs. Google is launching plenty of its own devices with its AI software, too, including the Google Home Hub, which goes head to head with Amazon’s Echo Show. Google obviously has big plans for Google Assistant, and it wants the software running on as many devices as possible. And, if we keep hearing news about plans to bring personalized news feeds to smart speakers, we can’t wait to see what Google Assistant is capable of in 2019. 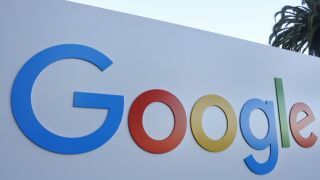 Google doesn’t just make money by harvesting your browsing data and turning it into targeted advertisements, it also launches mobile and computing hardware. This year, we got two fantastic phones and a tablet. Back at its Made by Google event in October, the tech giant launched the Pixel 3, Pixel 3 XL and the Google Pixel Slate. The Google Pixel 3 and its bigger cousin were the stars of the show, even if it didn’t look like a lot on paper. But, the Google Pixel 3 is more than the sum of its spec sheet, bringing an even better camera – when the Google Pixel 2 was already one of the best cameras in a smartphone. But, that’s not all – Google massively improved the camera software this time around, bringing around OLED displays, even if you’ll have to deal with a notch this time around. Then there’s the Google Pixel Slate, Google’s answer to the Microsoft Surface Pro – but with much weaker hardware. It’s one of the first Chrome OS tablets on the market, with an optional keyboard cover that’ll set you back a whopping $199 (£189, about AU$280). Starting out with an Intel Celeron Processor, it’s by no means a powerhouse, but is does have its appeal as a media device for Google fans. We would have rather seen the Google Pixelbook 2, but, hey there’s always next year, right? Google isn’t the easiest tech company to sum up at the end of the year, as a lot of its major moves are drawn out over time, rather than the product releases. However, Google kind of got a lot done this year, even if it’s not as tangible as Apple or Microsoft. The search engine, long the core of its business, keeps getting better and better, and is more mobile friendly than ever. And, with its expansion into ostensibly being a cellular carrier, Google has a lot to be proud of, and we can’t wait to see where Google is going to expand next. Because, 2018 went to further prove that Google’s movements aren’t as predictable as their peers. And, while there wasn’t much in the way of new hardware, the new Pixel 3 and Pixel 3 XL are genuinely some of the best phones to come out in 2018. We just wish the Google Pixel Slate could have been more impressive. There is plenty of potential for a great Chrome OS tablet, we’re just not there yet. Maybe in 2019 we’ll see a true follow-up to the Google Pixelbook that redefines what the best Chromebooks are capable of. We’ve been rooting for the Chromebook from the sidelines for a while now, and with the problems Microsoft is having with the Windows 10 October 2018 Update, we think there’s room for Chrome OS to steal some of the spotlight. This year seemed to see Google laying out a lot of groundwork for future work, and we think it’s going to cash in on this work throughout the next couple of years. We know we’re on the edge of our seats to see what becomes of Google Fuchsia.